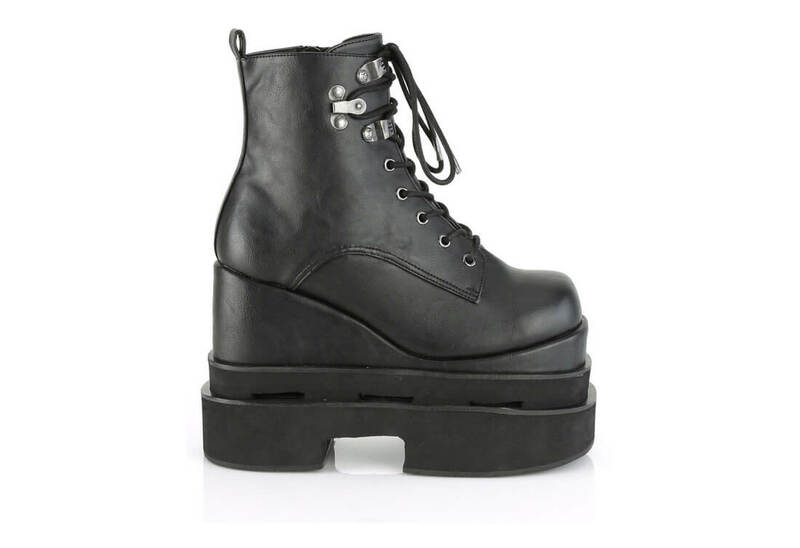 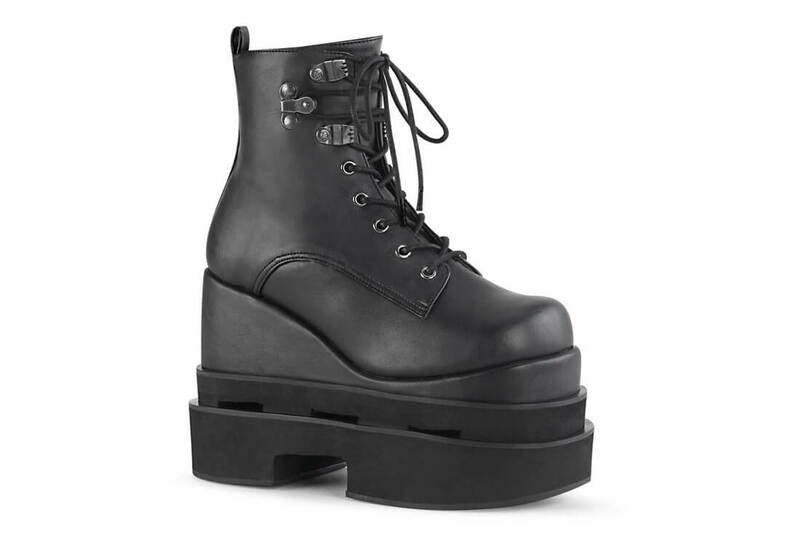 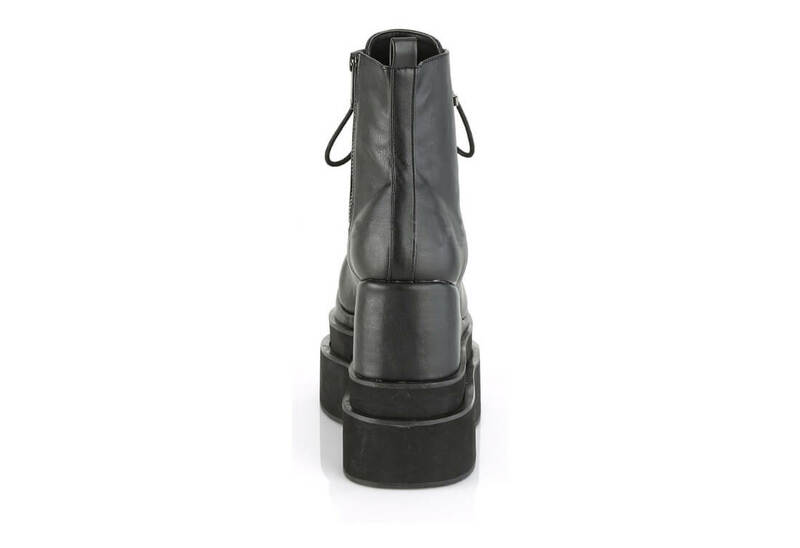 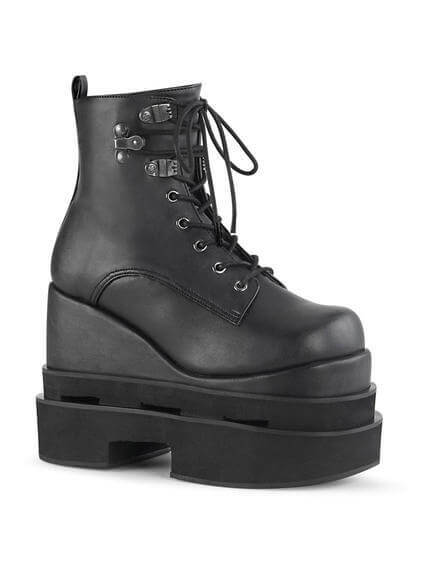 The Eternal-106 is a triple tiered ankle high platform boot. 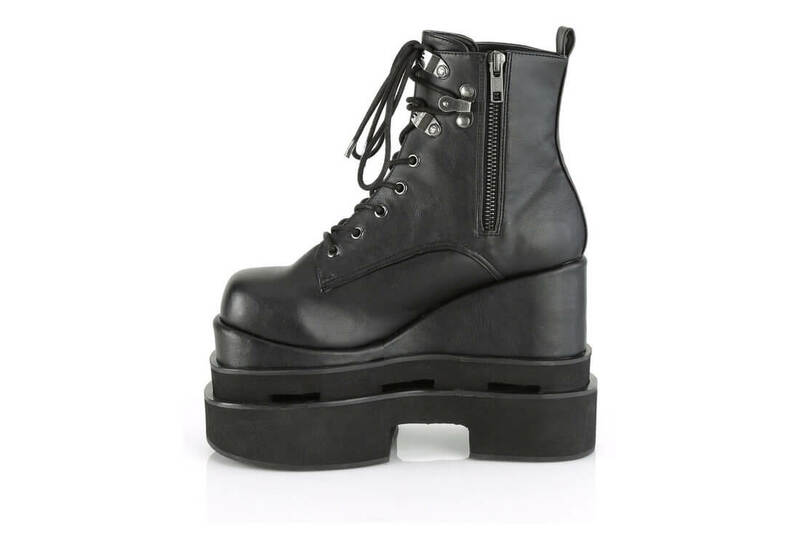 The platform measures 5 inches tall and three stacked layers of cutout platform. 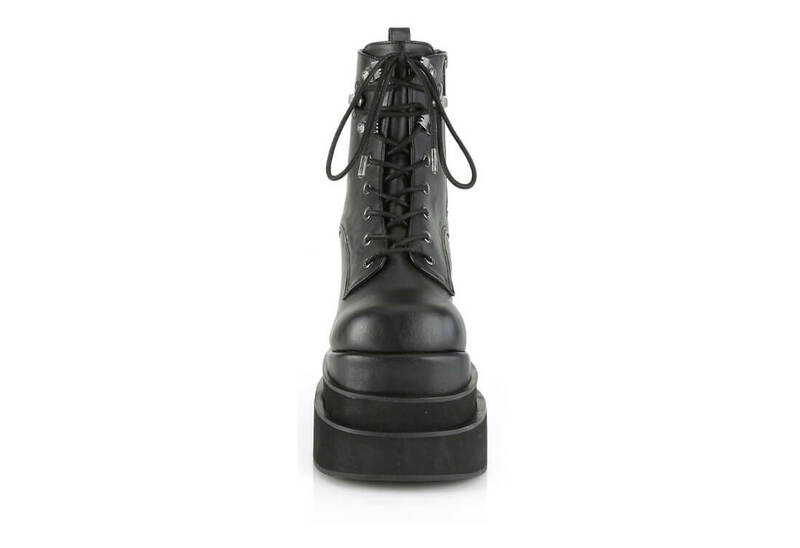 The front laces up and has a unique lacing system at the top.